I love how easy it is to do lead generation with this tool, and find so much variety within the category you are searching. I also love the Gmail integration. I dislike that it sometimes has more errors than expected. The data expressed also does come out in your Google sheets somewhat messy. Clearbit will significantly up your data enrichment game. In my case, I was working as an SDR trying to find the best way to generate leads for my agency. Clearbit helped me find extremely detailed leads with several different characteristics on an extremely granular level. I was solving a lack of lead generation problem. This helped me take my game up to a new level in terms of production. I was spending so much time scraping the internet manually and this data was so enriched to the point where I was able to get so much else done. "Clearbit is a great tool, even better CS team service"
We use it for lead enrichment when people don't fully fill out a form and this works really well but we also started to use the Prospector tool both in sales and marketing with great effect. Our CSM, Erinne, helped me setup an awesome report that will show which contacts at current customers have had a job change allowing us to more proactively get a new champion. Each time I talk to them, they come out with a new feature that helps our team. No big complaints. "Clearbit is Top Notch, I Couldn't Work Without It"
I love the fact that clearbit will not only pull up the names and email of people under a given domain, but also give me their job title when available. This is huge because I'm normally looking for a specific person working at a company and having the job title helps a ton. That sometimes the email I want or need isn't available. I look for most contacts on linkedin first and sometimes I find people that I need to reach but clearbit can't find the email. However, I can't expect it to be 100% right every time, no email search is. Definitely try out. There are a lot of competing software products out there like Clearbit, but I've had a lot of success with it and at minimum its worth downloading and trying. At max, it's great and you'll always use it (like me). Outreach sales. So I use clearbit to find the emails of the decision makers at specific companies and it allows me to talk to the right people the first time. Which is huge. The email addresses the most accurate out of the various tools my company has tried to use. Clearbit finds the emails that don't follow the email pattern for the company, which is extremely helpful. Since we have this integrated with SFDC, I love using the enrichment tool to confirm market size, technology in use etc. The prospector tool is also very helpful to quickly add higher ups to the account. Our company is in a pretty interesting market, where our "competitors" have been around for a while. What is the most helpful is getting a first hand look at the technologies they're using. This helps my team and I determine how we would like to position ourselves in our emails to the prospect. Since using enrichment in SFDC, our success as a team has improved greatly. The only problem is there are some email people that you don't have in your system. These people sometimes have bounced email in result. I don't have that many major dislikes though. I understand technology is not always perfect, and get that some of the emails might bounce still. Try the free extension first to see if you like the data given. If so do a trial and so forth. This tool really helped us be more efficient with our prospecting. It's given us more insight into the company, prospects and has been overall very convenient. We started off with the clearbit gmail extension which we all loved, so I personally encouraged my manager to take a deeper look into deepening our use of the product. Thanks for the kind words Megan! "Clearbit - Good for determining Company Email format, often hit or miss on finding the person I need"
While using Clearbit, I loved being able to determine company email formats, which enables me to make more educated guesses to test and eventually verify with another website. Whenever the person I was looking for showed up on Clearbit, it was generally correct information. Recently I haven't had practically any hits--that is, Clearbit actually finding the person I'm searching for. In terms of UX, sometimes it begins searching before I've finished typing the name. This isn't a big problem, just a minor irritant. While Clearbit alone may not be able to get you all the information you want, if you use it in conjunction with Connectifier or Lusha or Contactout, you can get everything you need. I use Clearbit to discover personal and professional contact information for potential technical candidates. The benefits of a reliable extension that tells me the company email format can be good, especially for a technical sourcer like me. As someone who does not have a lot of free time, I appreciate tools that let me get right into it. Clearbit is easy to download and even easier to use. It is also highly adaptable. If you're looking for someone but can't find that particular person, it's easy to pivot and find someone else who might be just as effective. No real "dislikes." Only thing that would make it better is if there were more people to search. very easy to use tool, surprisingly effective, BUT it's not the holy grail. remember to cultivate multiple sources. We are a b2b company. Reaching key decision makers at other companies can be challenging. The benefit is the ability to open up our sales funnel to a broader audience. There is absolutely nothing to dislike about Clearbit. Every Business Development Managers/Executives or Sales Person, should save the time of searching the internet for contact person for their business proposals and add this extension to your daily resource. It will save you the time and provide you the data that is accurate and the right contact person when you really need it. I used it to find the right contact person when I want to fire my proposal emails. The company endpoint of the Enrichment API is a key source in my algorithm for automated dirty prospect visibility data. The streaming features helps me run through huge datasets in parallel to save time. It is very cost effective with its pricing per call and the liberal trials which helps in proof of concepts. This is a problem with most vendors and I don't blame clearbit at the moment due to its infancy but the coverage in different geographies. I did see the coverage was quite less in certain geographies than say North America. Go for it, Their trial license is liberal and they are more than happy to help in any which way possible. I am shedding more light on anonymous prospects through automated intelligence and the program uses the clearbit as one of the source to append attributes of an anonymous lead. We are actively working on increasing coverage in additional geographies. If you have a specific need there, always feel free to give us a shout and we can work to prioritize that request. 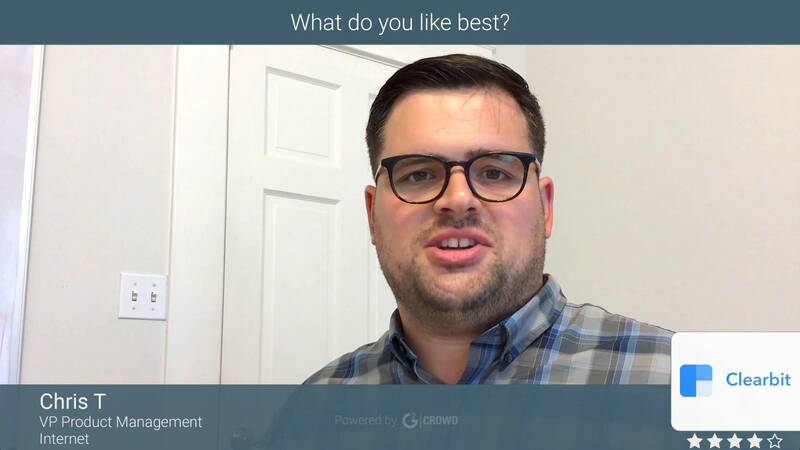 "Great solution to improve data "
The ability to improve data is the main focus and I have been looking at using the clearbit enrichment suite to enhance and validate contact in an application in development. Very clean and easy to use. I am just learning the details of the API and look forward to adding it to my application and helping improve the data in my contacts. It took me awhile to actually get my head around what I needed to do. Not being a programmer, there is a bit of a learning curve. Nothing too challenging once you get used to what you're seeing. My recommendation is to start with the Gmail plugin and see how you can work with your data to clean and enrich. It's a very clean interface and will allow you to learn the interface and take the steps necessary to make it work for your goals. Cleaning my Data. from multiple sources. I was searching for a way to improve and enrich the data for all of my contacts. People move, and domains change, and it is always a moving target. If I can get everything working like I imagine I can then we will have a fantastic program. There are a lot of lead generation programs and so many lists that are garbage. Getting enhanced data makes all the difference in the world. I believe there are considerable advantages to gathering data from the public systems and creating clean data and nurturing the clients to improve retention, conversion and generate sales. I can't tell you how many lost opportunities happen because someone didn't follow up with someone. Enrichment in the data can reduce and use existing systems available today are here to help you clean your data. My favorite thing about Clearbit is the ease of implementation and use. Implementation took less than a day - it was pretty much just flipping on a couple switches and deciding which fields in SFDC you want the Clearbit data to overwrite (or fill in if already blank). The data refreshes every 30 days - I wish it was more often. Sometimes our reps find something on LinkedIn (ex. employee size) and it differs from what we have in SFDC. I also dislike how you have to have a license in order to pull reports in SFDC that have clearbit data. I haven't heard of a lot of product releases with Clearbit. I would dig into this before purchasing again. DATA. We need Clearbit data for prospecting, Account distribution, scoring, etc. Our sales, marketing, and CX team all use clearbit. "Clearbit Email Finder to the Rescue"
Clearbit is the easiest and most accurate tool I've found so far to find emails. The installation was a bit tricky. Everything else within the search was quite straightforward and simple. In my position, I often have to do outreaching to different companies and professionals. Their emails aren't always listed. Clearbit makes it easy for me to find the correct business emails so I can continue to market and network with professionals in my field. I liked being able to see company email formats. The prospects I was looking for generally returned good results. The most accurate tool I've used so far to find emails. Clearbit appeared to have the highest success rate when compared to the other tools online. The information provided allows our sales team to make more educated decisions. Sometimes you will receive emails for employees that are no longer active with the company. This affects your reputation as a bad domain if you're sending emails through gmail rather than a third party email tool like Tout or Salesloft. The layout of the tool could use some improvement. We needed a way to find emails for our outbound strategy, FAST. Clearbit has been a cost-effective solution for our team. We realize that the benefits of deploying Clearbit include, but are not limited to: increased time spent selling rather than prospecting, increased efficiency in outbound email campaigns, decreased our bad reputation as a spammy domain. "Probably about as good as possible"
It surfaces good email addresses more consistently than other products that I've tried. It has a free tier that is very useful and the paid tier has clear value. Sometimes it is slow to keep up with internal changes--things like job titles and switches to a new email domain. It's a great product, but you and your colleagues should understand the privacy implications of using Clearbit before introducing the free version into your company. It helps me contact professional acquaintances like past co-workers and people that I've met with at conferences. I could use LinkedIn, but people don't always check LinkedIn messages and I don't expect people I know to message me on LinkedIn. "Great tool to find the right contact"
Ease, list contacts positions, not much involved with trying to find the right person, very easy to maneuver, contact information has been spot on for the most part. "You have to give this a try "
It is so incredibly easy to find emails for our outbound efforts. No copy/pasting, no jumping between different tools or browsers - everything happens right in my email. There's not much to dislike. It can be a hit or miss with lesser known companies, and sometimes you will receive emails for employees that are no longer active with the company. You have to give it a try. There are a lot of tools / resources out there and this has been the best experience by far. You do have to do some research up front and know what companies to search (that are relevant to your outbound strategy), but the ability to source emails directly from your email is fantastic. We need a quick (legitimate) way to source emails for our outbound strategy, and hiring freelancers / other resources was just not cutting it. Clearbit is a cost-effective and efficient solution for our team. "Nicely integrated - No hassle install"
Clearbit integrates with SFDC much more smoothly than I have seen from other BI solutions. The insights are extremely relevant from an enterprise perspective. Lead generation also looks to be very easy to use. Not much. For my org, it would be a process to get this spend approved. For a more nimble organization, I'd recommend trying it out! I like the ability to pull relevant business insights directly from the account-level SFDC page. When I am reaching out to customers, it gives a nice overview of recent activities within the company. "Need To Improve Contact Data Accuracy"
I like the feature of Clearbit that shows most of the information I would like to know about a certain company.com like their social media, employee's counts and description. It helped me to identify easier especially their official Linkedin account. Lack of verifying's profile. I was totally amazed of Clearbit Connect the first time I've used it. Sure, it shows person's profile like how Rapportive does when you enter or type an email address; but Clearbit confuses me each time I am desperate to know the exact email address format of the key contact I am looking for. Yes, there is a verified sign but not all email address I entered has a Clearbit account or even using it. Just for example Jane Doe working at company.com. When I started to formulate a format this will happen, jane@company.com exist in Clearbit database so it shows her picture and Twitter account BUT when I to verify it to MailTester.com it says that email is not valid. So when I try the jane.doe@company.com in MailTester it shows valid and when I try it to Clearbit, it only shows a blank profile info. Sometimes only with name and sometimes name + title. "Has cut my prospecting time in half"
I really like how useful this tool is for me when prospecting for new customers. I use this to track/investigate/find emails every single day. Sometimes when you are trying to investigate e-mails the tool won't find anything . I don't believe that is a bug of company problem though. Perhaps the data just isn't available. After using their free service my company just upgraded our plans and integrated Clearbit with Slack. Now when we want to investigate an e-mail, we go into our sales channel on Slack. Type in a simple command of /clearbit lookup (email) and the information that comes back tells us loads about our prospect! Their company, location, job title, number of employees in the company etc. Thanks Brittany - always working to increase coverage for you so let us know if we're not finding contacts you think we should be! I dislike that sometimes it doesn't have some company's contacts. In addition, sometimes there is no contact for the CEO or founder or anyone higher up in the company, which is what we usually like for contacting companies. Easy way to find contacts that I was not able to find in the past. I have only used the trial so far and am satified with it. Business benefits is finding contacts much easier and faster than we have in the past. 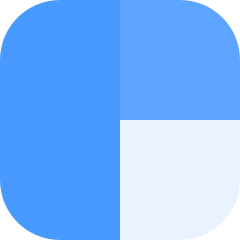 Clearbit is a multipurpose tool for recruiters and sales or marketing professionals. I really like this extension. It's really easy to use. It's really great for finding email addresses of people you want to contact. The extension will take you to the clearbit page when you click it, where you’ll have access to the dashboard. There you can find options to find leads of any company by using the title and domain of the company. It also provides you the information of any employee of the company with name, email, title and sometimes photo. I am using clearbit for more than a year the one thing I notice is it perfectly works with gmail but not with other email providers like yahoo or Hotmail. It's really great for big companies, but for smaller companies or startups, sometimes there are almost no contact info. The credits left in the clearbit account does not carry to next month if unused which is also a drawback sometimes. Clearbit has one more useful option where it will verify the email address (mostly gmail). If you have a gmail address but don’t know it belongs to whom, just put it in the email column and give a search, it returns the full name, photo, last used location and valid or not. It also finds business email address of any employee by just using the domain of the company. Without clearbit I would not have contacted some leads in my daily work. Easy to search information needed specially my using the url of a particular company and getting a list of most of their employees. "I have found so many leads thanks to clearbit!" I love how it finds the emails for me while I prospect! It's so nice because some emails are so hard to find! But with clearbit it is all right there for us to use! Thank you for making such a fabulous platform. A lot of the time the emails are wrong or there is no email at all, also on sales force a lot of times someone has already prospected that lead, so it ends up trying to make a duplicate. I would like to see this change so we don't end up taking other peoples leads and waste our time trying to prospect. It is easier to find emails, so I am reaching the right person more often. "The most economical, easy to use, and cool extension you will find for a business resource." The favicon for the company is pulled along with the domain name (quickly). This helps me know the extension and I are seeing eye-to-eye. I enjoy the branding and how it fits into the Inbox dashboard. I really love how the results page has a link to their LinkedIn and some additional information like pictures, for confirmation. I don't like that every time I log out of gmail/Inbox I then have to go back through all of the Clearbit onboarding (every restart, browser quit, log out, etc.). I would also like the system to be able to check to see if the email is valid. One thing I find inconvenient is the "email this contact", it automatically fills their address into the contact field and I usually like to insert that last. If there's a way to inject the name into the contact name section of a draft that I've already started, I would love that. EX: Your boss comes to you and wants an email address for the head of a prospective lead company. Imagine wondering what that individual's email is at their company. All you have is their domain name. Guess what? That's all you need. You search for the domain name, there's a favicon to verify it's the right one, and then it lists all of the available names (and their titles!). Beyond that it allows you to connect with them right there, offering LinkedIn and create email buttons. I'm job searching and using clearbit has allowed me to contact the decision makers. Having this ability is an excellent resource because contacting the person who can make action upon the request is, literally, a make-or-break moment. "Supercharge Gmail Extension for lead search"
It helps lot in getting correct email id and also verifies the email by going on LinkedIn with the help of clearbit extension. It doesn't give the personal phone number. It's totally verified and easily implemented tool for sales and research purpose. Getting C level contacts and their email id and also helps in nurturing the lead. "Useful to find Key Decission makers"
It is almost impossible Clearbit is missing the company you are searching for. Sometimes you find email addresses, which are from people who has left the company long ago. A quick check in Linkedin could be automated. If I want to you help Clearbit out, because I found an email they don't have, I have no quick place where to drop you the contacts. I use the free version and it is working for me. Give it a try! I am in Business Development, and preparing outbound email campaigns is always easier if you reach the right person. Clearbit is helping me quite a lot, I use it in addition to rapportive( checks all possible email combinations when I have a low certainty level of this email being the correct one), findthatlead (similar to clearbit, but giving as result all possible combinations) and mailtester to see if the server is still working. "Useful to find email addresses in an easy manner"
To feature to find an email address when writing an email it's pretty amazing because it also shows you other email addresses within the same organization. As well, it shows the list of companies that been searched before, so you can always go back and try to send another email to someone else if you want to. I also use Rapportive and it is really annoying that I cannot use both extensions at the same time since Clearbit occupies the spot that is usually reserved for Rapportive (the right side bar when you open an email and you see details about the person that you are talking with). That is a negative point because Rapportive offers more insights on the contact details than Clearbit, and I am using Clearbit mostly for its capabilities to find email addresses. As well, I gave that feedback to Clearbit through their Facebook page and they never got back to me, which is also another negative point. Having access to more email addresses enabled me to reach out to more people with relevant contact. It's amazing how easy it is to use and how many contacts are available to search. We are easily finding the contact information for leads which saves an incredible amount of time. "Good Resource. Very small database"
THe database needs to improve and add a lot of entries - at least all the profiles of LinkedIn. Not all names are shown with their respective jo titles. even linkedin is not included.THe database needs to improve and add a lot of entries - at least all the profiles of LinkedIn. Not all names are shown with their respective jo titles. even linkedin is not included.THe database needs to improve and add a lot of entries - at least all the profiles of LinkedIn. Not all names are shown with their respective jo titles. even linkedin is not included.THe database needs to improve and add a lot of entries - at least all the profiles of LinkedIn. Not all names are shown with their respective jo titles. even linkedin is not included. "Clearbit significantly expedites the process of finding those difficult to discern email addresses." It is quick, intuitive, and if I am unable to find the specific address I'm looking for, I can almost always find the broader structure that a company is using to make a best guess for the contact I'm trying to find. The search feature is a bit buggy and sometimes jumps to "no results found" because of an extra space after a name, for example. It's not the be all end all of email search, but it's a fantastic product that clearly and immediately adds value. It makes it easier to find emails for sales and partnership outreach. I have sped up my time to contact as well as expanded my overall outreach. Thanks Gianmarino - appreciate the feedback on the search function. Will take that to the team and see what we can do! Easy to install, easy to use, easy to find the contacts I need, and easy to verify the information. This tool has totally changed the way I connect with people. I ask everyone on my team to install it as part of their onboarding process, and I recommend to people who do biz dev / marketing / recruiting / sales. Occasionally the email will by incorrect, or there won't be any contacts (or my specific contact) listed on ClearBit. I also dislike that when I click the name it opens a new email. I'd prefer to always copy and paste, as I usually already have the email in question drafted. Solving the problem of finding email addresses that are actually accurate, of knowing where people are located, and of having access to multiple contacts at the company I'm trying to get in touch with. I have realized that LinkedIn isn't always accurate. The Email finder feature is the best. As a start-up we were exploring a market where we knew no body and neither we had any contact details of our target audience. Practically solved the challenge and now e have established contact details. Its too much to ask from Clearbit on this but If I have to say something about dislike, What I may dislike is, currently it does not provide the contact numbers of these individuals. I think if not direct phone numbers, but at least information on board numbers of their office should be available. "Easy integration with marketo, gives us all the data we need"
The integration with Marketo is so straightforward and you can capture so much lead data with out having to clog your lead forms. very little to dislike about clearbit, support is always available when you need it. So we needed to append data to current leads as well as new leads created so that we can ID leads we wanted to pass to sales. Their database is able to get us all the data we need as well as some social handles. "Very handy for finding out emails"
I first love how easy it was to integrate Clearbit into my Gmail account; the process was seamless. Also, the search tool within it is intuitive and provides the exact matches that I am looking for. Accuracy has also been very good with this tool and I've yet to find an email convention that was completely off. One thing I dislike about it is that it sometimes takes too long to load; otherwise, very happy with it. I do wish to learn more about it, and it might perhaps be helpful to receive more emails from the developers / sales team about what other functionalities I might be missing out on, and how pricing would work for that. I think of MixMax and the constant emails about additional tools, etc., and I think that this is something that is missing from Clearbit. Has lots of potential!